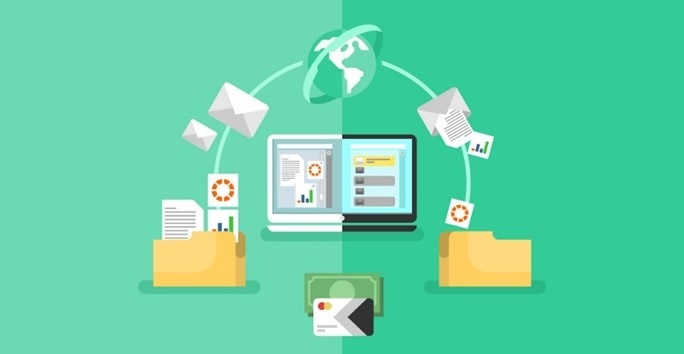 Document Management System » Uncategorized » DMS VS ECM What to Go for? Home » Uncategorized » DMS VS ECM What to Go for? DMS VS ECM What to Go for? There are so many software solutions out there that are used for managing companies’ information and data. Today, we are tackling the difference between two of those most known software solutions; the Document Management System (DMS) and the Enterprise Content Management (ECM). It is a Document Management System that tracks the document lifecycle starting from the creation phase, passing by the retention, the accessibility, the filing and all phases after that. The Enterprise Content Management is a software that manages any type of content as well but it works better with the unstructured formats of data such as images, videos, emails, graphics, web content and so on. So, after defining both software solutions, you need to know that DMS is a part of ECM. It is not professional nor safe to have your critical files in paper form and kept in one place as you can’t control natural disaster from destroying your documents. However, both the Document Management System (DMS) and the Enterprise Content Management (ECM) are similar in keeping your files safe and accessible. It all depends on your business requirements and needs, and whenever you need help, do not hesitate to contact iDOX.